The drug Xtandi (enzalutamide) was FDA approved in 2012 for use in metastatic Castrate Resistant (or Hormone Refractory) prostate cancer patients AFTER they had been treated with chemotherapy. But today, the FDA approved its use in these same patients BEFORE they have had chemo, creating one more important option for these men. Read Press Release Here. Xtandi is a second line hormonal therapy, which can suppress testosterone at 3 different sources, giving many men an additional cancer response after failing initial hormone therapy. 1) Are you "Castrate Resistant" (or Hormone Refractory)? 2) Do you have "Metastatsis"? Xtandi (enzalutamide) is a prescription pill. It is usually prescribed as 4 pills taken together, once a day. Discuss with your pharmacist, and your physician(s). Copyright © 2014 Prostate Cancer Research Institute, All rights reserved. You are receiving this email because you subscribed to our newsletter on our website. Dear ISCA, How do I go about thanking you for giving me back my life! There are no words that can adequately express how I feel. When my conventional oncologist told me I had stage III breast cancer and that I had no options, besides surgery, chemo and radiation, I felt that I would be going down a dark deep hole that I could never climb out of. Dr. Orn gave me hope, calmed all my fears and helped put me back in control of what was happening in my body. He told me it was up to me to follow a change in lifestyle and diet and by doing that and allowing me to be a part of the trial taking place in the Bahamas, I have been able to rid my body of the cancer 100%. When Dr. Lunn told me that it was up to me to make my immune system strong by exercise, supplements and diet and how well it worked would depend on me, I knew that I would be in control. With ISCA as my backup support all along the way, together we made it work. I began as a hysterical woman with no hope and have come out of this entire journey as a much more positive person. Along the journey, following the strict protocol, I have also lost 70 pounds, a feat that was a pleasant side effect that I had been trying to do for the last 30 years. I tell everyone I meet about ISCA and the difference it has made in my life. Whenever I had a question or a doubt along the journey, you were always there to give me the support I needed. I was only an email or phone call away. You told me how stress was a huge enemy of mine, which causes illness in all of us. Therefore, I thank God everyday for leading me to ISCA, which saved my life. Someday I would like to meet you in person, Dr. Orn, and give you a big hug to say thank you. Although I must admit Skype is the next best thing! Today, I am back to my career, but this time with a much healthier way of approaching life. I try not to let things cause me stress and if they do, I let them go, but I keep my newly found lifestyle changes of diet and exercise. They are a part of the "new me". I know that I can never let up, or I could end up in the same boat again. So thanks to Dr. Orn and ISCA, my whole approach to life has been changed for the better! Dear ISCA, Just wanted to express my heartfelt gratitude to you for extending yourself so much on my behalf. To say your extraordinary efforts are so very deeply appreciated is to make the understatement of the year! I am moved to tears that you would help me as much as you have! Thank you , thank you, thank you from the bottom of my heart and soul! In the November 1, 2008 issue of The Prostate, researchers at the University of Wisconsin report their finding that a combination of vitamin C and E administered to human prostate cancer cell cultures results in apoptosis (programmed cellular self-destruction). The finding adds support to the hypothesis that vitamin E and selenium are of value in prostate cancer prevention, which is being investigated by the twelve-year Selenium and Vitamin E Chemoprevention Trial (SELECT) of over 32,000 healthy men. For the current study, Nihal Ahmad, PhD and colleagues added varying concentrations of alpha-tocopherol succinate (vitamin E), a form of selenium known as methylselenic acid, or both nutrients to three human prostate cancer cell lines as well as normal prostate epithelial cells. While vitamin E succinate or selenium alone modestly inhibited the growth and viability of prostate cancer cells, the combination of the two dramatically inhibited prostate cancer cell growth while having no effect on either growth or viability of normal cells. The scientists determined that the nutrients' mechanism involves proteins that are members of the Bcl-2 family, which participate in the control of apoptosis. Apoptosis occurred in all cell lines used in the study, two of which were androgen-insensitive and defective for p53. The finding is important because prostate cancer undergoes a transition from androgen-sensitive to androgen-insensitive disease, and most prostate cancers contain both types of cells. "We have found that the combination of vitamin E succinate and methylselenic acid was much more effective than either of the agents alone," the authors conclude. "Also, we have used low concentrations of both the agents which makes our finding more relevant to in vivo [living] settings." NEW YORK, Apr 08, 2009 (ASCRIBE NEWS via COMTEX) -- A new multi-center study shows that an experimental drug lowers prostate specific antigen (PSA) levels - a marker for tumor growth - in men with advanced prostate cancer for whom traditional treatment options have failed. The study, led by researchers at Memorial Sloan-Kettering Cancer Center (MSKCC), is published today in Science Express, the online version of the journal Science. Most men with metastatic prostate cancer eventually build up resistance to the drugs that lower or block male hormones and develop a more aggressive form of the illness called castration-resistant prostate cancer (CRPC), or hormone-refractory disease. According to the study's findings, investigators studied two novel compounds, RD162 and MDV3100, and not only gained an understanding of their novel mechanism of action, but found that these agents showed activity in CRPC cells in culture and in mice. The study also reports on a Phase 1/2 trial of MDV3100 in 30 patients with advanced CRPC and found that 22 out of 30 men showed declining PSA levels, and 13 out of 30 men (43 percent) had PSA levels fall by more than half. Several years ago, the senior author of the study, Charles Sawyers, MD, and his colleagues at the University of California, Los Angeles (UCLA), uncovered a potential reason why metastatic prostate cancer patients eventually relapse with CRPC. This insight was used to discover RD162 and MDV3100. "It's gratifying to know that our hypotheses about why men develop resistance to currently available treatments are confirmed and, most importantly, that there are already patients who are benefiting from our research," said Dr. Sawyers, Chair of the Human Oncology and Pathogenesis Program at MSKCC and a Howard Hughes Medical Institute investigator. Current treatments for men who have advanced prostate cancers inhibit the activity of male hormones that help drive tumor growth. Many of these drugs disrupt the androgen (male hormone) receptor, which helps regulate cell proliferation, but tumors eventually become resistant to the drugs by expressing higher levels of the receptor. Preclinical studies by Dr. Sawyers and others have demonstrated that CRPC cells have increased expression of the androgen receptor and that overexpression of this receptor may contribute to the progression of disease. Based on this information, Dr. Sawyers initiated a collaboration with Michael Jung, PhD, Professor of Chemistry at UCLA, that led to the discovery of a number of nonsteroidal, small molecule antiandrogen compounds, including MDV3100, which has been shown to retain its anticancer activity, even when the receptor's expression is elevated. "The discovery and initial development of this drug was a collaborative effort all done in the academic setting, without reliance on the engine of the pharmaceutical industry that typically drives drug development," said Dr. Sawyers. Dr. Jung's group synthesized the compounds, which Dr. Sawyers' team then evaluated using prostate cancer mouse models engineered to highly express the androgen receptor, mimic progression to castration-resistant disease, and reflect the biology of clinical drug resistance. According to the new study, the team of researchers tested various compounds to block the androgen receptor in CRPC cells. They chose to further evaluate the drug RD162 and a closely related compound, MDV3100. According to their findings, both drugs inhibit the androgen receptor function by impairing the receptor's ability to enter a CRPC cell's nucleus (called nuclear translocation), blocking it from binding to the DNA of its target genes, and preventing the cell from growing. They found that both compounds worked well in cells in culture, shrank tumors in mice, maintained tumor shrinkage for months, and prevented the androgen receptor from activating additional genes later in the process, or "downstream." Other currently approved drugs cannot disable the receptor in such a way. 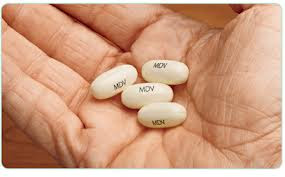 The biopharmaceutical company Medivation, Inc., licensed RD162 and MDV3100 from UCLA in 2006 and has already completed enrollment in the first human trial of oral MDV3100 - a Phase 1/2 clinical trial, which was led by investigators at MSKCC and conducted through the Prostate Cancer Clinical Trials Consortium. The Consortium is sponsored by the Department of Defense and the Prostate Cancer Foundation. The trial enrolled men with metastatic, castration-resistant prostate cancer who relapsed after treatment with conventional hormone therapy and demonstrated anti-prostate cancer effects beginning with the first patient treated with MDV3100 at the lowest dose. Further positive results from an additional 110 patients who received the drug at higher doses were recently reported at the ASCO Genitourinary Cancers Symposium in February 2009. "The declines in PSA levels observed thus far and the general tolerability of this treatment are encouraging," said Howard Scher, MD, a study co-author and Chief of the Genitourinary Oncology Service at MSKCC. "I am looking forward to continuing the study of this drug, which has the potential to be a powerful tool in a limited arsenal of treatments against this deadly form of the disease." A Phase 3 trial is planned to begin later this year. Researchers at MSKCC, UCLA, Oregon Health and Science University, University of Washington, Seattle, and Medivation, Inc., contributed to the research. Dr. Sawyers and several of the study's authors are co-inventors on patent applications covering RD162, MDV3100, and related compounds. The study was supported in part by the Prostate Cancer Foundation, the National Cancer Institute, and a Prostate Cancer Research Program Clinical Consortium Award. CHICAGO (Reuters) – Men who have less invasive prostate cancer surgery -- often done robotically -- are more likely to be incontinent and have erectile dysfunction than men who have conventional open surgery, U.S. researchers said on Tuesday. Many men, especially those who are wealthy and highly educated, favor minimally invasive surgery because they assume the high-tech approach will yield better results, but the evidence on that is mixed, the team reported in the Journal of the American Medical Association. "We found men undergoing minimally invasive versus open surgery were more likely to have a diagnosis of incontinence and erectile dysfunction," Dr. Jim Hu of Brigham and Women's Hospital in Boston said in a telephone briefing. Hu said use of minimally invasive surgery has taken off since the introduction and heavy marketing of robot-assisted surgery, such as the da Vinci system made by Intuitive Surgical Inc. The system consists of robotic arms, controlled from a console, that allow surgeons to perform less invasive surgeries. Hospitals advertise the systems as being able to reduce trauma, blood loss, risk of infection, scarring and often pain. Hu said so far, there have been few studies that compare minimally invasive surgery with open surgery. To do that, he and colleagues used billing data from the Medicare insurance program for the elderly on procedures done from 2003 to 2007. During that time, use of minimally invasive surgery for prostate cancer increased fivefold. While both approaches fared equally well as a cancer treatment, they found that men who got the minimally invasive approach had shorter hospital stays, were less likely to need blood transfusions, and had fewer breathing problems after surgery than those who got conventional surgery. But they were also more likely to have complications involving the genital and urinary organs, and they were more often diagnosed as having incontinence and erectile dysfunction than men who got open surgery. The researchers also noted that fewer black and Hispanic men had the minimally invasive surgery, while Asians were much more likely to get the high-tech surgery. Men who got the minimally invasive surgery were far more likely to live in areas with at least 90 percent high school graduation rates and median income of at least $60,000. The fact that highly educated, wealthier men favored the higher technology alternative "despite insufficient data demonstrating superiority" may reflect a healthcare system "enamored with new technology" that increases health costs without offering clear benefits, Hu and colleagues wrote. Ryan Rhodes, marketing director for Intuitive Surgical, disputed the findings. "There have been over 800 papers published in peer reviewed journals talking about the outcomes of radical prostatectomy. The majority of these were favorable," Rhodes said. He said the current study used Medicare billing data, which does not distinguish between robot-assisted and other types of minimally invasive prostate surgery. "Looking at the data, you cannot accurately assess which patients were operated on robotically," he said. Dr. Herbert Lepor of New York University's Langone Medical Center analyzed several studies on robotic-assisted prostate surgery in a paper published this year in Reviews in Urology. He said so far the evidence does not suggest the robotic procedure is superior to open surgery. Lepor, who was not involved in the study, estimates that about 80 percent of minimally invasive prostate cancer surgery is done robotically. "What drives this is the industry creating the need," he said. "We've increased the cost of care with the robot," he said. "Now what we are learning is continence and potency seem to be inferior." WASHINGTON — Many hospital patients are dissatisfied with some aspects of their care and might not recommend their hospitals to friends and relatives, the federal government said Friday as it issued ratings for most of the nation’s hospitals, based on the first uniform national survey of patients. For complete story, click here. An article published in the Fall, 2008 issue of the Journal of Economic Perspectives concludes that improved behavior and increased screening among Americans are major contributors to the 13 percent decline in cancer mortality from 1990 to 2004 recently announced by the National Cancer Institute. In a study that is the first to evaluate the reasons for the decline, David Cutler of Harvard University examined data for breast, colorectal, lung and prostate cancer, and uncovered three factors leading to improved cancer survival. The most important of these is cancer screening, such as mammography and colonoscopy, which can detect cancer at an early, treatable stage. Second in importance is improved personal behavior, including a reduction in smoking. Dr Cutler ranks improved treatments, including surgery, chemotherapy and radiation as third in importance, and notes that their contribution comes at a high cost. "Drugs that are quite expensive have been shown to extend life by only a few months among patients with metastatic cancer, which raises questions about the relative value of such costly treatments," Dr Cutler stated. "In contrast, while screening can be expensive, increased screening has led to significantly longer life expectancy for those diagnosed early with colorectal or breast cancer." "We typically think of the war on cancer as developing a new cure," Dr Cutler remarked. "An equally important question is figuring out how we can take what we know and make it work for more people. We should think about the war as not just developing the next weapon, but using what we have in a smarter way. A health care system working for cancer would prevent people from getting it, catch it early, and then treat people accordingly. If our healthcare system was focused in this way, there could be a huge benefit." Studies on the best use of genetic testing for BRCA1 and BRCA2 mutations continue at a rapid pace. Other genes that contribute to breast cancer risk are also being identified. This will occur more rapidly now that the human genome has been sequenced. A large, long-term study funded by the National Institute of Environmental Health Sciences (NIEHS) is now being done to help find the causes of breast cancer. Known as the Sister Study, it has enrolled 50,000 women who have sisters with breast cancer. This study will follow these women for at least 10 years and collect information about genes, lifestyle, and environmental factors that may cause breast cancer. An offshoot of the Sister Study, the Two Sister Study, is designed to look at possible causes of early onset breast cancer. To find out more about these studies, call 1-877-4-SISTER (1-877-474-7837) or visit the Sister Study Web site (www.sisterstudy.org). Results of several studies suggest that selective estrogen-receptor modulators (SERMs) such as tamoxifen and raloxifene may lower breast cancer risk in women with certain breast cancer risk factors. But so far, many women are reluctant to take these medicines because they are concerned about possible side effects. Newer studies are looking at whether aromatase inhibitors -- drugs such as anastrozole, letrozole, and exemestane -- can reduce the risk of developing breast cancer in post-menopausal women. These drugs are already being used as adjuvant hormone therapy to help prevent breast cancer recurrences, but none of them is approved for reducing breast cancer risk at this time. Evirolimus (Afinitor®) is a new type of targeted therapy drug that was recently approved to treat kidney cancer. In one study, letrozole plus evirolimus worked better than letrozole alone in shrinking breast tumors before surgery. More studies using this drug are planned. Fenretinide, a retinoid, is also being studied as a way to reduce the risk of breast cancer (retinoids are drugs related to vitamin A). In a small study, this drug reduced breast cancer risk as much as tamoxifen. Other drugs are also being studied to reduce the risk of breast cancer. For more information, see the American Cancer Society document, Medicines to Reduce Breast Cancer Risk.